Pichola Lake is a beautiful landmark, located at the foot hills of the Arava, in India. Located in the city of Udaipur, which is part of the southern state of Rajasthan. The lake is an artificial freshwater lake, as part of several lakes located in the area of the city of Udaipur. It was built in 1362 and is named after the nearby village, Pichol. Significantly, it is no wonder Udaipur is called the City of Lakes. Made primarily to provide a source of drinking water and supply the irrigation needs of the region. In it’s middle, the lake has two islands, upon which are built uniquely beautiful palaces and temples - Jag Niwas and Jag Mandir, from which the lake view is quite unique. Three of the other lakes are connected in series with Pichola by beautiful bridges. The Big Lake is linked by means of a "rainbow” bridge, built in the mid 19th century. The next lake has crystal clear water and is surrounded by beautiful hills with small cottages around them. 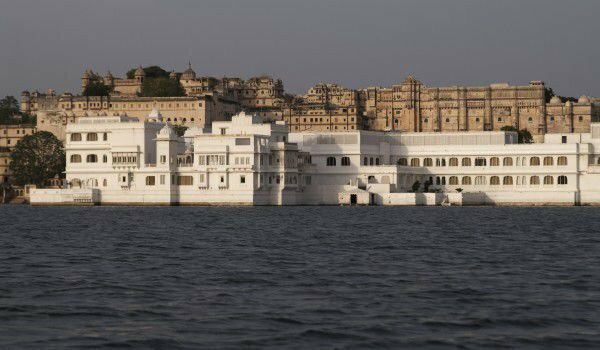 The biggest attractions in the area of Udaipur are the City Palace, which is now a museum, and a lovely palace, e with a unique view of the lake - Sadzhangar. Once it’s purpose was as a summer residence of the ruling family, coming here in the monsoon season. When you walk through the district, you will see a lot of beautiful places, and smaller palaces and temples, surrounded by picturesque streets and gardens with fountains. The beautiful palaces on the islands in the lake are the biggest tourist attraction. Jag Niwas is built entirely of white marble, in the early 18th century, today it has become a luxury hotel. Jag Mandir was a whole complex of buildings built of red sandstone. Once there came to rest Shah Jahan, and the faithful say, this castle inspired him to build the Taj Mahal.